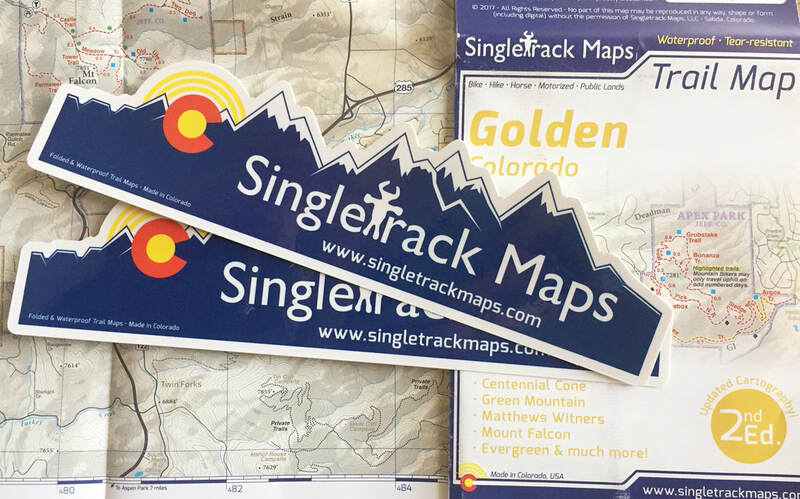 Show your love for Colorado and Singletrack Maps! Die Cut stickers are printed right here in Colorado! Stickers measure approximately 2 inches x 7.6 inches (h,w). 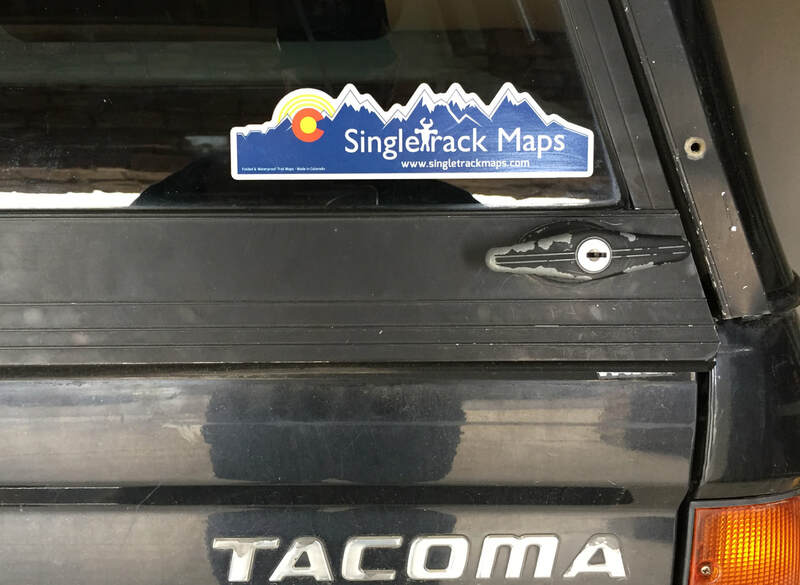 $2.50 (per sticker) - Free shipping! 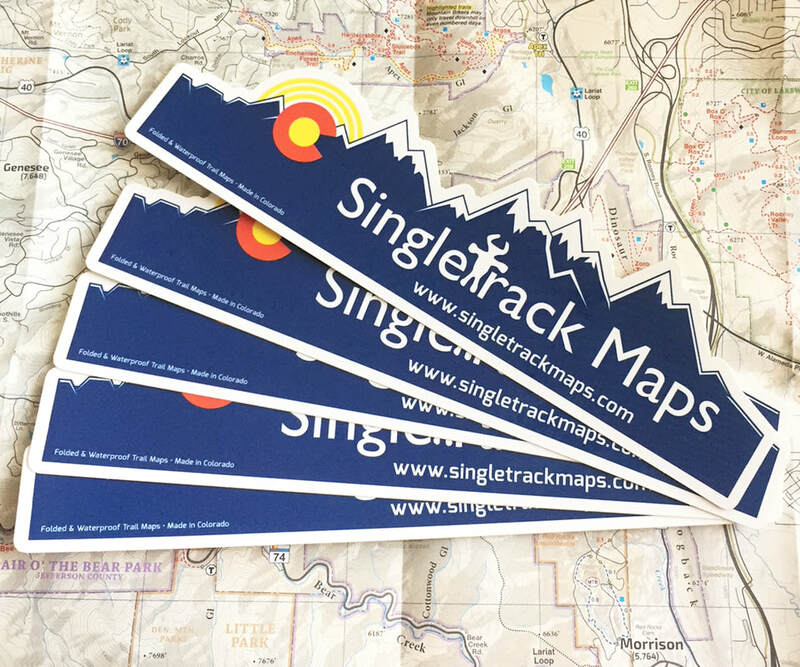 Pack of 5 stickers - $9.50 - Free shipping! Made in Colorado! From the design to the final printing. Every step takes place in Colorado.